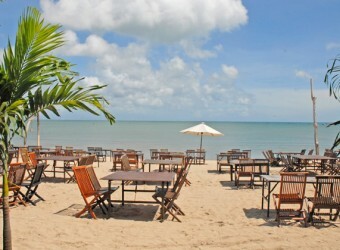 Restaurant Beach Bali Cafe is a seafood restaurant located in Jimbaran Beach. Have lunch at the secluded beach in the daytime, and enjoy dinner time and watch beautiful sunset in the evening. After watching beautiful sunset, enjoy a romantic candle light dinner. You can also enjoy delicious seafood dinner and watch traditional Balinese dance performance.